Jen Sturtevant works on a family farm founded in the 1800s. 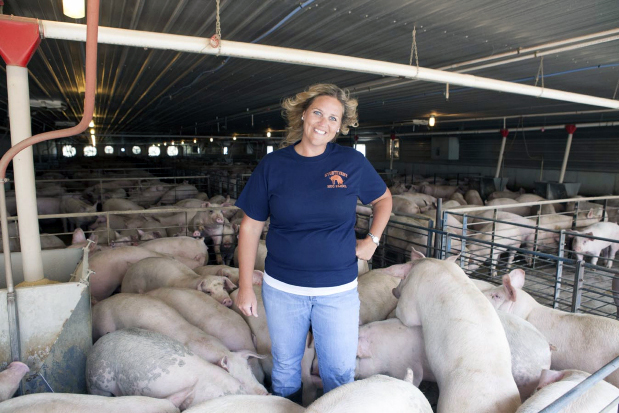 Today, Jen represents one of three generations of Sturtevants who raise pigs near Lanark in northwestern Illinois. They remain committed to family, but don’t expect an old-fashioned farm. The family runs a wean-to-finish operation, which means pigs arrive on the farm at about three weeks old. The Sturtevants care for the animals until they reach ready-for-market size at about six months old. In addition to the 30,000 pigs on the farm at any given time, the family also grows corn, soybeans and wheat to feed the animals. 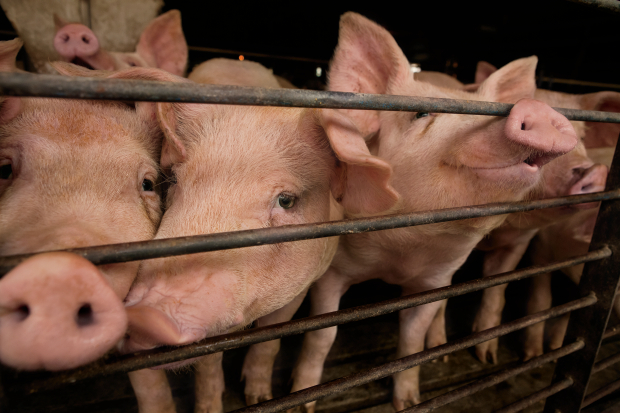 Automated feed and temperature control systems service their modern livestock buildings to ensure the pigs remain comfortable throughout the cold winters and hot summers. The family publicly shares their farm’s story. In fact, a pen of about 25 of their pigs debuted online this year. 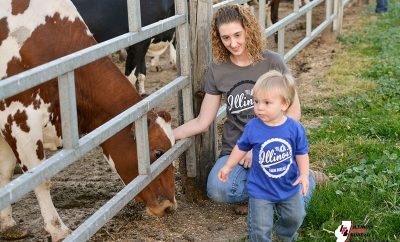 Called the “Field Moms’ Pen,” it gave an inside look at hog production for a group of Chicago-area moms and an online audience. Photos, videos and blog posts at watchusgrow.org told the story of these pigs from birth in March to market in August. Jen Sturtevant hopes the posts and mom’ visits to Illinois farms shed some light on farming myths and stereotypes. Rather, these urban moms learned about the farm’s levels of biosecurity, climate-controlled environments and modern livestock care. The Field Moms met Jen in person and asked questions about antibiotics, biotechnology and animal welfare. She shed some light on the practices on their farm and why farmers do what they do. But to Jen’s surprise, the Field Moms asked more questions about the family’s lifestyle and shopping habits. The 2013 Field Mom tours have ended, and the Illinois Farm Families program seeks a third crop of moms for 2014. 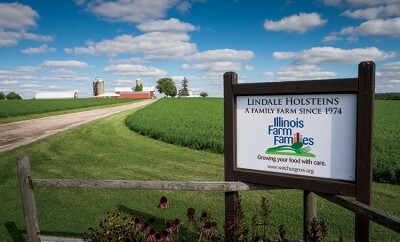 If you live in the Chicago area, have at least one child under the age of 13 and want to know more about where your food comes from, you can apply to become a Field Mom. Simply fill out an application at watchusgrow.org/about-us/apply-to-be-a-field-mom before Dec. 1. 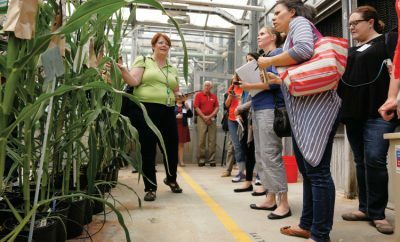 Field Moms will have the opportunity to tour grain, hog and dairy farms, and experience planting and harvest. Participants will talk directly with the farmers who grow the food they feed their families. Our Field Moms never forget this experience.